As a British male, football (or soccer for my American readers) is almost in my genes. I watch football related television every Saturday, gamble on football matches, wear football tops and play football videogames. I can take an irrational, instant dislike to a person based on their choice of football team and also share a strange kinship with another who supports mine (Everton, in case you wondered). I also have distinct memories based on footballing events. 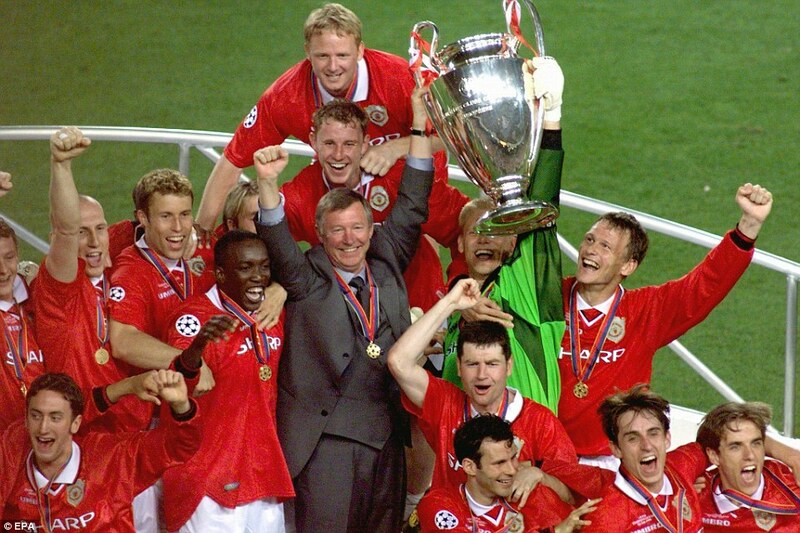 One of which is the Champion’s League final in 1999, where Manchester United trailed 1-0 for 90 minutes and then, almost miraculously, scored two goals in “injury time” to win the cup and secure the Treble of trophies for the season. I’m not a Man United fan (again, Everton) but I jumped, cheered and hugged my Dad in amazement (he is a Tottenham Hotspur fan incidentally). The core of that team is the featured subjects of a low-key but very well-made documentary. The team was unique because they were home-grown, nurtured talent at the club. They were famously wrote-off as “kids” by a well-known and respected football expert and became some of Britain’s and in one particular case, the world’s, most famous (and infamous) footballers for arguably the English leagues most successful team. I’ve watched many football “documentaries” that are nothing more than stock clips and talking heads from whichever “experts” had the time and weren’t too expensive to cooperate. 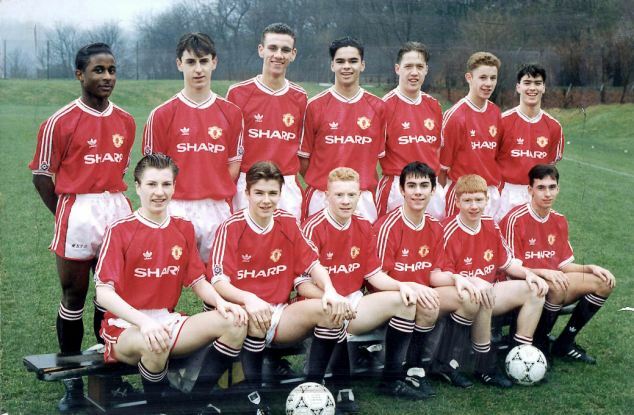 Class of 92 actually brings together the core players to interview individually and in a round-table discussion. It offers an unparalleled insight into a very interesting time in football for any fan, if you love or hate Manchester United. Even the most fair-weather fan of the game will know of the bigger stories and getting the first-hand inside track on those moments makes for a very interesting watch. Considering that getting the six footballers together can’t have been the easiest task, with David Beckham one of the most sought after people in the world, in or outside of the sport. This unprecedented insight also offers plenty of unknown, revealing stories of the six players as they grew up together. From pranks, on and off pitch encounters, key memories and the personal experience of the players in some of the most famous moments in football history (for example Beckham’s red card for England). As a football fan, it is a treasure chest of history and amazing tales. It is also both touching and funny. There are moments of sadness, offered by the players themselves and those around the team, their family and friends. This is counter-acted with humour too. When the players are sat round the table, reliving and retelling the stories from their youth, it makes for very funny watching and it is clear that their bond and friendship is still there. Unfortunately, the very nature of the documentary means that if you have no idea or interest in British football, Class of ’92 is probably not for you. The stories are emotional, exciting and uplifting but they play too much on the shared fan’s experience and the nostalgia that the tales will invoke. If you don’t have that initial knowledge, I doubt you’d enjoy the experience as much as the typical British male would. Overall, Class of ’92 is a unique, professional and unmatched look at one of the most exciting and interesting times in British football, culminating in one of the greatest football stories. Unfortunately, if you aren’t the kind of person that jumped up and cheered when that Champion’s League final, injury time goal went in the back of the net, you may not actually enjoy the film at all. Rating – 4.5 (Take one star off if you aren’t a football fan). Not for everyone but for a football fan, a must watch! God, he was gorgeous even as a kid.